San Rafael, CA, about 12 miles north of the Golden Gate Bridge. 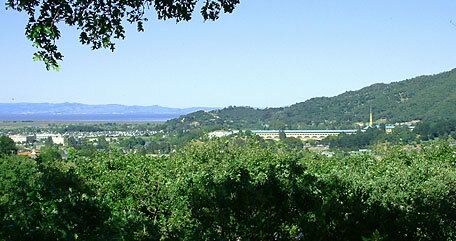 Our studios overlook oak trees and San Pablo Bay. The Internet connects us to the world, and you. We'll forward if possible. Just put the artist's name in the subject line of your message.